Discovering the effectiveness of ice or heat for neck pain can assist many patients in finding symptomatic relief using these all-natural and completely safe therapies. In fact, we recommend the application of ice and heat for many particular types of upper dorsalgia, since these treatments might allow patients to avoid more risky and expensive forms of treatment, such as pharmaceutical interventions. Ice and heat are time-tested and proven remedies for many health concerns. Both function as analgesics and ice is also a potent anti-inflammatory agent. Best of all, ice and heat can be used in many effectual forms and do not cost any significant amount of money to utilize as pain management therapies. This essay delves into the applications of heat and ice for treating neck pain. We will examine the best uses for ice and heat, as well as provide a basic overview of ideal treatment practices for a variety of painful conditions. Ice can be used in its purest form, such as cubes of ice wrapped in a towel, or may be applied using a frozen gel pack, a bag of frozen food or virtually anything else that can be cooled to an suitably cold temperature. Ice can be placed on the skin, but should always be shielded from direct contact using a towel or cloth. Ice can also be added to a bath, or cold water can be utilized for a cooling shower therapy. Submersion in an ice bath is highly effective for numbing many types of pain, although this application is not advised for neck pain sufferers, since the head may have to be partially submerged for maximum coverage. Direct cold shower pressure might be best, even if the water temperature does not qualify to be called icy. Ice provides effective reduction of inflammation, making it perfect for immediate use after neck injury. However, ice can also inhibit the healing response, so it should be replaced by heat, or used in tandem with heat in alternating fashion, once the immediate inflammatory response has been controlled. We typically recommend ice application for 20 minutes at a time. It is never advised to keep ice in contact with the body for too long, since it may cause tissue damage in extreme cases. Heat for neck pain is perfect for relaxing muscles and increasing the metabolic processes in the injured or painful region. Heat is a great treatment once inflammation has subsided, but may worsen swelling when utilized too soon after some forms of injury. This is why we recommend ice for the first 24 to 48 hours after a neck injury, followed by heat from then forward in the treatment process. Heat must never be too hot as to burn the skin. Instead, it should be safely tested before application to ensure that the substance used can not injure. Heat can be used via heating pad, a hot wet towel, a hot shower, a hot bath or exposure to sauna or steam conditions. Wet heat is especially effective for providing pain relief and minimizing tension and stiffness in the sore region. Once again, for neck pain sufferers, a hot shower might be best, since this does not require the head to be submerged for an extended period of time. Heat can be applied for up to an hour, but typically 30 minutes is the optimal time frame per treatment. 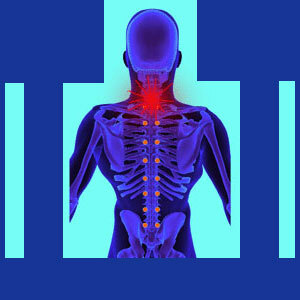 Professional heat therapies can also be provided to patients with severe pain, using various forms of diathermy care. 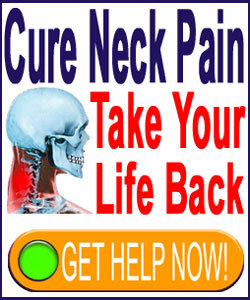 The neck can be difficult to treat, since it is an awkward location for many ice and heat applications. Therefore, we recommend cooling gel packs for ice use and hot, wet heat, followed by hot showers, for heat therapy. Both ice and heat might work well for various causes of pain, but definitely show the most effectiveness for treating common muscular concerns, such as neck strain and sprains. Ice and heat for neck pain are perfect for overuse pain syndromes, repetitive muscle strain conditions, tight, tense muscles and other common ailments in the neck and shoulders. Ice and heat also might prove useful for dealing with some varieties of radiating neurological pain in the limbs, although this is not universally reported by affected patients. As an alternative to actual ice or heat, many topical pain management products provide the sensations of cold or hot in order to relieve the same common symptoms of soreness, tension and stiffness. These topical medications do not involve significant risk factors and can be easily applied to the neck for self-treatment. To learn more about utilizing heat or ice at home, or to investigate professional heat and ice interventions, please speak to your doctor or physical therapist.